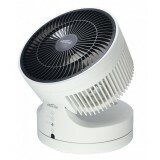 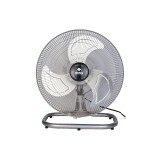 14'' Metal Floor Fan 3 Speed Selection Max Air Flow: 278m/ min Air Volume: 273m/ min Left- right oscillation Manual Vertical Tilt Slim Spiral Guard Anti- topple Base ..
Mistral MHV800R High Velocity Fan 4 Speed Selection 4 Hours Timer 60° Left-Right Oscillation Function 60° Up-Down Oscillation Function Cyclonic Turbine Blade High Quality Double Bearing Motor Powerful L..
7 Hours Timer 60 Degrees Left- Right Oscilation Function 90 Degrees Up- Doen Oscillation Function Ideal for Air Circulation, Ventilation, Diversion Environmentally friendly & energy econamized Easy Removable Grill for Easy Cleaning Suitable for Small Ro..
4 Speed Selection 7 Hours Timer 60 Degrees Lef- Right Oscillation Function 85 Degrees Up- Down Oscillation Function Sensor Touch Control Panel Adjustable Height Powerful Long Distance Air Delivery Ideal for Air Circulation, Ventilation, Diversion ..
Mistral MPF18S Power Fan 3 Speed Selection Anti-Topple Base Metal Blade Power: 150W Voltage: 220~240v 50/60Hz .. 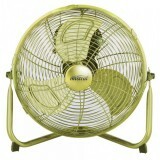 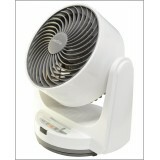 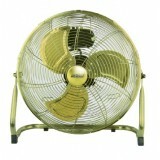 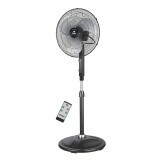 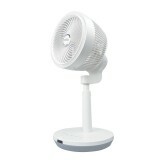 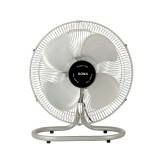 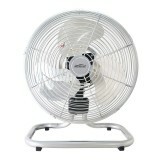 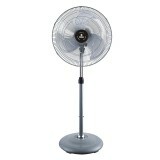 FEATURES 12” power fan 3 Speed Selection Anti topple base Metal blade Colour: Copper Gold .. 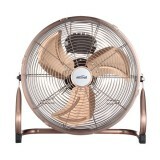 FEATURES 16” power fan 3 Speed Selection [1:950RPM,2:1100RPM, 3:1250RPM] Anti topple base Metal blade Colour: Copper Gold ..
Sona SOF6051 Power Fan 12"
Sona SOF6051 12″ Power Fan SOF 6051: 12’’ 230V~ 50Hz 35W 100% Full Copper Motor 4 Light Weight Alloy Blade Anti-Rust Coating Oscillating 3 Speed Strong Wind ..
Sona SOF6054 Power Fan 16"
Sona SOF6054 Power Fan 16" SOF 6054: 16’’ 230V~ 50/60Hz 80W 100% Full Copper Motor Aluminium Alloy Blade Anti-Rust Coating Oscillating 3 Speed Control ..
Sona SOF6056 Power Fan 18"
Sona SOF 6056 Power Fan 18" SOF 6056: 18’’ 230V~ 50/60Hz 90W 100% Full Copper Motor Aluminium Alloy Blade Anti-Rust Coating Oscillating 3 Speed Control Powerful Wind ..
Sona SOF6058 Power Fan 20"
Sona SOF6058 Power Fan 20" SOF 6058: 20’’ 230V~ 50/60Hz 130W 100% Full Copper Motor Aluminium Alloy Blade Anti-Rust Coating Oscillating 3 Speed Control Powerful Wind ..
Sona SSO6067 Power Fan 18"
Sona SSO6067 Power Fan 18" 100% Full Copper Motor 3 Speed Control Alloy Blade Powerful Wind Oscillating Function Solid Base SSO 6067 18’’ Power Fan Power: 90Watt ..
Sona SSO6068 Power Fan 20"
Sona SSO6068 Power Fan 20" 100% Full Copper Motor 3 Speed Control Alloy Blade Powerful Wind Oscillating Function Solid Base SSO 6068 20’’ Power Fan Power: 130 Watt ..
Sona SSOR6073 Remote Power Stand 18"
Sona SSOR6073 Remote Power Stand 18" 220-240V~ 50Hz 100W 100% Full Copper Ball Bearing Motor 3 Speed Alloy Blade Very Powerful Wind Oscillating Function Solid Base Remote Control 3 Wind Mode (Natural/General/Sleep) ..